A great deal of attention is typically paid to nursing home abuse cases in light of the fact that around a million elderly adults suffer some type of abuse each year. Unfortunately, the elderly are not the only vulnerable group that may face sub-par care in residential treatment facilities. The elderly are also not the only group who may experience abuse from their caregivers and who may be harmed as a result. Our Boston nursing home abuse attorneys want to alert you that group homes in Massachusetts have also been found to fall short when it comes to patient care. This puts the disabled and the mentally ill at risk since they depend upon group home care providers to offer the care that is promised. According to 90.9 WBUR Boston, the Massachusetts Department of Mental Health (DMH) has hired many private vendors to supervise group homes and care facilities for the mentally ill. Under the system established in Boston, more than 29,000 people are treated under a component of the state mental health system referred to as Community Based Flexible Supports (CBFS). Unfortunately, numerous high-profile incidents in recent years have suggested that the proper care is not being provided and that both patients and group home staff are at risk. In one tragic incident, for example, a group home worker was killed by a resident with a long history of violence. In another tragic incident reported by WBUR, a 24-year-old mentally ill woman hung herself from a pipe in a closet. These incidents, and others like them, may have occurred because group homes are underfunded and understaffed. A joint investigation by the New England Center for Investigative Reporting and WBUR also indicated that even six months after the suicide occurred, problems still persist that make group homes dangerous. DHM records also have bad news, as they show an increase in the number of safety violations and violent incidents between January 2009 before CBFS and February 2011. When a patient who cannot care for himself or herself is accepted into a group home, the group home becomes responsible for providing reasonable supervision and care. If the group home fails to do so, then the home may be considered negligent and can be held legally accountable for loss. 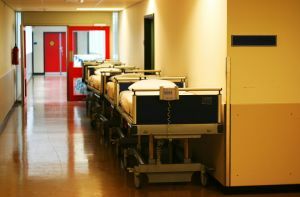 In the event that the group home’s failure to provide adequate care led to a death, then surviving family members may be able to bring a wrongful death claim. Legal claims against group homes for failure to provide sufficient care can be complicated, however, as it can be challenging to prove that the death or injury to the resident occurred as a direct result of some negligent breach of duty. In some cases, determining who the appropriate defendant is may also be complicated. Still, like abusive nursing homes that mistreat their patients, a group home that fails to live up to its obligations should be held accountable for the actions they have taken that led to harm. If you or a loved one has suffered a personal injury in the Greater Boston area, contact the Law Offices of Jeffrey S. Glassman, LLC for a free consultation to discuss your claim. Call 1-877-617-5333.